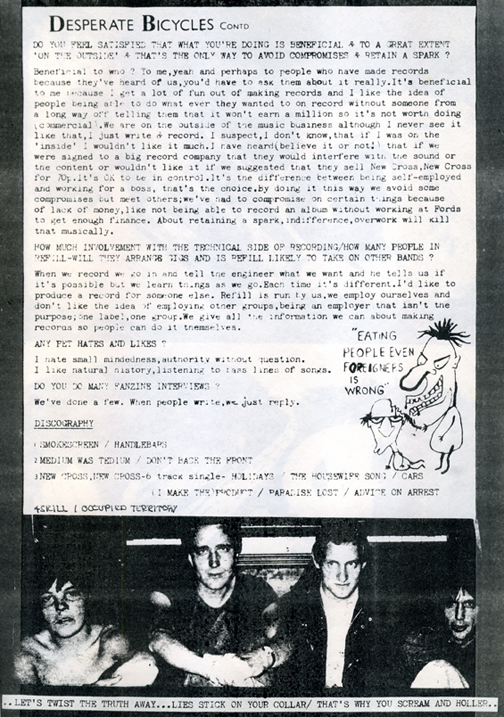 A while back I posted an early interview with Desperate Bicycles published in one of the crucial fanzines for the emergent movement we now call UK DIY, Common Knowledge. Although I have not exhausted my thoughts on this amazing band, I'll let this interview with Danny Wigley speak for itself. It appeared in a very cool fanzine from Stevenage, Hertsfordshire, which is not far north of London. The inaugural issue of V-Sign also included an interview with TV Personalities, a do-it-yourself manifesto of sorts by Scritti Politti, and a write-up of a Rock Against Racism (RAR) festival. Notably, the local chapter of RAR in Stevenage released one of the few records on the group's imprint, the great Restricted Hours/the Syndicate split single (Restricted Hours was the Astronauts under a pseudonym). 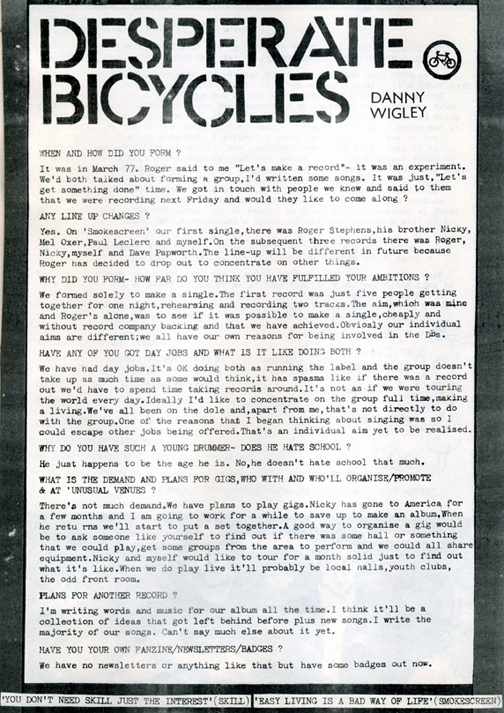 This interview was published after the 'Bikes had released four singles. Sorry it's difficult to read—blame the original printing!